BOSTON, Feb. 11, 2019 (GLOBE NEWSWIRE) -- After a record 2018, advanced, all-in-one influencer marketing platform Mavrck is continuing its innovation in 2019 by announcing the deep integration of its survey research capabilities with its influencer database. Marketers struggle with making research insights actionable, an inability to scale personalized influencer search criteria, and expanding influencer relationships beyond creating content. 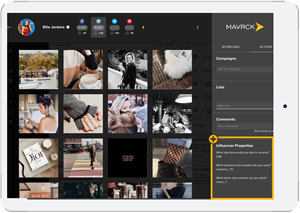 Mavrck’s new features solve those problems while also opening new lines of communication between marketers and influencers. Mavrck has long believed that influencers provide a more qualified panel for surveys, ideation, focus groups, in-depth interviews, concept testing, and more, so not engaging them in research and creative development is a missed opportunity. Today, most panels, focus groups, or creative entities depend on candidates to self-screen their qualifications, which leads to bias and fraud (i.e., people saying they fit the criteria when they often don’t). It’s easier for marketers to confirm influencers’ subject matter expertise and qualifications via their public content and performance. These new capabilities not only aggregate survey responses from hundreds to thousands of influencers, but now also elevate the incredible power of each individual response. Mavrck has connected each influencer’s survey responses to their Mavrck profiles. 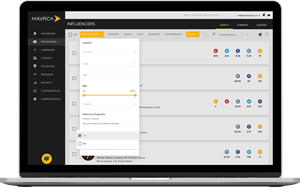 This means that with each influencer response, a singular insight can become a piece of a larger influencer survey and can now also append that specific influencer’s Mavrck profile data. The data collected per marketer allows for advanced, personalized influencer experience (IX) and stays with that marketer, which means other Mavrck customers are not able to see it, ensuring incredible data personalization and privacy. The platform is taking influencer-marketer communications research insights and data personalization to the next level, ultimately delivering greater business value to both influencers and brands alike. To learn more about Mavrck and to book a demo, please visit www.mavrck.co. Mavrck is the leading, all-in-one, advanced influencer marketing platform enabling companies such as P&G, Godiva, and PepsiCo to harness the power of ideas people trust. Marketers use Mavrck to discover and collaborate with influencers, advocates, referrers, and loyalists to create trusted content and insights for customer journey touchpoints at scale. Using its self-service influencer manager, marketers can take an automated and performance-based approach to influencer marketing. Founded in 2014, Mavrck is headquartered in Boston, MA, with offices in Denver, CO, has 52 employees, and has raised $13.8M in venture capital. The platform has been recognized for its superior offering by the Shorty Awards and Retail TouchPoints’ Retail Innovator Awards, and was named Best Influencer Marketing Platform by Digiday in 2018.